IISc Admission 2019 Application Form has been released. 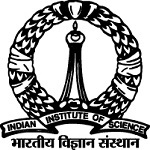 IISc (Indian Institute of Science) offers education in the field of advanced scientific and technological research. The university will not organize any examination for admission to the UG, PG and research courses. Admission into the courses will be done through JEE Main, JEE Advanced, NEET, CEED, JAM, JEST, UGC NET, KVPY & other entrance test. Candidates have to qualify the above mentioned test to get admission in various courses offered by IISc. Through this article, students can check details for IISc Admission 2019 including application form, eligibility, dates, admission, etc. IISC Admission 2019 Application form has been started from 1st February 2019 for both UG & PG courses. Check here application details. The application form can be filled and submitted through online mode only. IISc 2019 application form is available from 1st February 2019. Candidates have to register through Email ID and create a new user account to start the online application process. Candidates are required to upload the scanned images of photograph, candidate’s signature, parent/guardian’s signature and caste certificate (if required). Fill all the details in the application carefully as per the instructions given. Candidates must take printout of the application form further use. Candidates can pay the application fee through debit/credit card, visa card, master card or net banking. In the table given below, we have mentioned the detailed application fee for various courses. Candidates must have qualified II PUC/12th or equivalent exam in the year 2018. Students appearing in 12th or equivalent in the year 2019 are also eligible to apply. In the qualifying exam, candidates must have physics, chemistry and mathematics/biology as compulsory subjects. Students should have obtained 60% or equivalent grade (relaxed to pass class for SC/ST candidates) in the qualifying exam. Candidates should have passed the KVPY, JEE Main, JEE Advance or NEET examination. Candidates must hold a bachelor degree in the relevant field of engineering/technology. Master’s degree in Science, Physical Sciences, Instrumentation, Mathematics, Statistics, Geology, Electronics or MCA candidates are also eligible to apply. Candidates should have a GATE 2017/2018/2019 score card. Students should have a bachelor degree in engineering/technology or equivalent degree. Candidates must have a valid GATE 2017/2018/2019, CAT 2018 or GMAT scores. Question: How can I get the IISc application form 2019? Answer: Application form is available only through online mode. Question: I have qualified the 12th exams in the year 2016. Am I eligible to apply? Answer: No you are not eligible to apply. Question: I am an OCI candidate. Can I apply for admission in Bachelor of Science (Research) program? Answer: Yes, OCI candidates are eligible to apply. Question: When will be the IISc 2019 application form available? Answer: Application form has been released on 1st February 2019. Question: Is there entrance test is organized by IISc for admission to the M Tech programs? Answer: After short listing on the basis of GATE score, students have to go through an aptitude test/interview conducted by IISc. Question: What are the criteria for applying to M. Tech or M. Mgt programs? Question: I wish to apply for M.Tech and M .Des both programs. Should I apply through a single application or should I fill in two separate application forms? Answer: One application form will be sufficient to apply to M.Tech and M.Des programs. You can fill maximum of 5 preferences in one application form. Question: Which documents I have to upload in the online application form? Answer: You have to upload the scanned images of photograph, candidate’s signature, parent/guardian’s signature and caste certificate (if applicable). Answer: Application fee payment will be done through debit/credit card, visa card, master card or net banking. Question: I am appearing in the 10+2 examinations in 2019. Can I apply for admission in UG courses? Firstly, candidates have to fill the application form to apply for admission. Selection will be based on the merit list of the national level examinations like KVPY, JEE Main, JEE Advanced and NEET UG. Candidates must have to obtain marks in the examination as per the cut off released by IISc. Reservation for reserved categories will be considered as per the Government of India regulations. For admission in M.Tech courses, students will be shortlisted on the basis of GATE scores. For some other courses, students will be selected on the basis of GATE scores followed by an aptitude test or interview. Candidates have to register on COAP (Common Offer Acceptance Portal) to fill their preferences and accept the seats. For admission in M.Des, students will be shortlisted on the basis of GATE or CEED scores followed by a Design Aptitude Test and interview process. For any other queries about IISC Admission 2019, you may leave your queries below. When can we expect a call letter for an interview from IISc Bangalore? After the release of merit list, the qualified candidates will get call letter for interview. I have completed my 12 th boards recently. Is there any courses of astronomy offered by any universities in ug level. I have not attempted any national competitive exams till now. Sir I have Physics,Chemistry and Biology as my subjects in class 12 but the application form doesn’t allow me as it says Mathematics is compulsory. After application process. Candidates have to submit scores of national level tests during the prescribed period. Actually neet admit card isn’t released yet.. So should I put application no. Instead of roll no. And later change it? What’s the last date to submit the application? Last date to submit the application form is till 30th April 2019. There might be some server issues. Try again or contact officials. I completed 12th in 2017.can I apply for iisc thru neet 2019.am I eligible? I have qualified my 12 th in 2017 with 94%. And I m a neet dropper. Am I eligible to apply for iisc ug? Pls answer my question. i have only apply for the neet exam .can i apply iisc admission .is it needs all 4 given entrance exam ? You can apply through NEET scores. I have completed class 12 sc in the year 2018, Appearing JEE Main & NEET UG 2019. So I will be considered for IISC UG course admission? Yes, you can apply but the admission will be offered on the basis of NEET Scores. I amappearing 2nd puc exam. Can I go for ISRO directly by IISC exam? I passed 12th in 2017.In iisc eligibity criteria l saw that those who completed 12th in 2018 and 2019 are eligible for iisc. So can l apply? Is genetic engineering ug course offered in iisc? sir i had applied in IISc for research in bioscience my application form is still incompleat even after fee submissions. Can a student studying in class 12 who haven’t gave kvpy ,IIT and other exam apply for IISc ? You can apply for UG courses in IISc only through KVPY, IIT-JEE (Main), IIT-JEE (Advance) & NEET scores. Yes, you can apply for PG admission through CSIR-UGC NET for JRF/UGC NET for JRF/ICMR-JRF/ DBTJRF / JEST /GATE Scores or appear for entrance test in case of M.Des or M.Tech admission. I get 98.84 persantile rank in jan jee main exam.can i admission? Yes, you can apply for admission in IISc through JEE Mains Score. I am pursuing BSc n i am in 3rd year . What procedure should I follow to get admission in Pg (lifescience ) . I would like do MSc in microbiology if I do so can I become a biomedical scientist? Sir,I passed my 12th exam in 2018. Can I get admission through neet exam in 2019??? Plz also tell me sir the sc cutoff in 2019!!! Plz tell me as soon as possible. Sir,I have passed 12th in 2017.am I eligible to apply IISC for UG program courses through neet? Do IISc Bangalore conducts any aptitude or any such test for admission in IISc Bangalore? Is 12th passed out candidates giving kvpy and jee 2nd time are eligible for admission in IISc ? For UG in OBC given cut off is for either jeemains or advance or else we need to get in both 54%??? My son obtained SC Rank 60 in KVPY SA stream in 2017. Is he eligible to get entrance in IISC in 2019? Sir,i 12 passed out in 2017 .I am eligible for IISC exam.and IISC conduct exam own ? My son has Indian passport and is studying abroad in Australia. He will be completing Yr 12 IB Diploma program in Nov 2018 and has taken Math, Chemistry and Physics. So far, he has not taken / registered for any of the common entrance tests like JEE. Please can you suggest how he can apply to IISc. can i apply for B.SC (U.G course) if i have qualified 12th in year 2016? Sir, I passed class 12th examination in 2017. Am I eligible for IISc UG course? sir i am doing third year bachelor degree.how to get admission in aero space engineering in iisc? I will pass my 12th in 2019.So will i be eligible for admission in bsc chemistry honours based on board results. I have completed my B.tech in Food engg. and technology. Is there any course for Food Technologist. Now I am studying mechanical engineering in government polytechnic college and I want to learn astronomy what should I choose in b.tech and what are best colleges/universities . please give replay to my mail. Sir i need to persue msc chemitry from iisc , so to get admision in iisc, which exam should i need to atempt. The eligibility is mentioned in the article. I passed 12th in 2017 can I apply? Which program offer for ecology in IISc m.sc or mtech ? Sir,I am passout 12th in 2017 ,can I apply iisc bangalore through jee main 2019? For IISC we should passed in all 4 exam means KVPY ,JEE MAIN , ADVANCED,NEET? You can apply any of the four exam for getting admission. What will the procedure for IISc UG through JEE MAIN for 2019? I have qualified the 12th exams in the year 2017. Am I eligible to apply? Sir how to get admission in msc biochemistry?